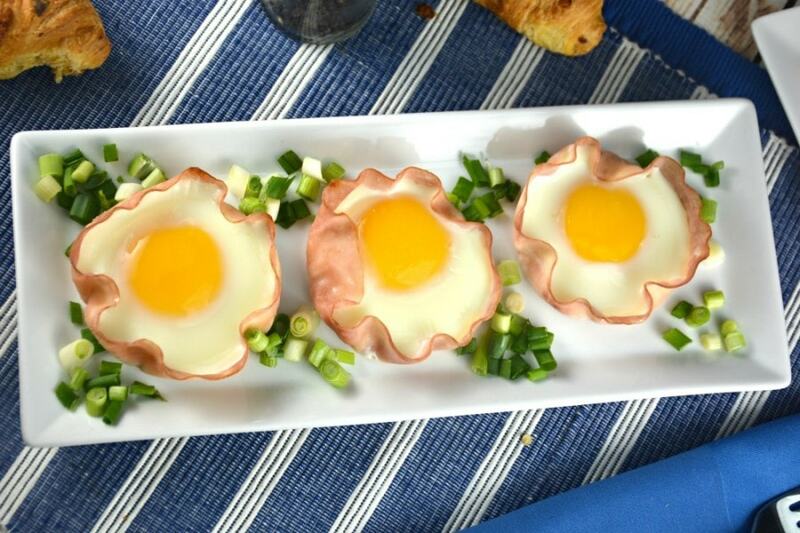 Easy Ham and Egg Cups are fast and so simple to make. The perfect breakfast or brunch! You can easily serve these eggs with toast to dip in the yolk or you can pick them up and eat them! You can totally control how cooked these egg yolks are. I wait until the edges of the yolk start to turn white and then I know they are done and ready to dip some toast in them. My husband and son wait until the yolks turn slightly white all over so their yolks are totally cooked. 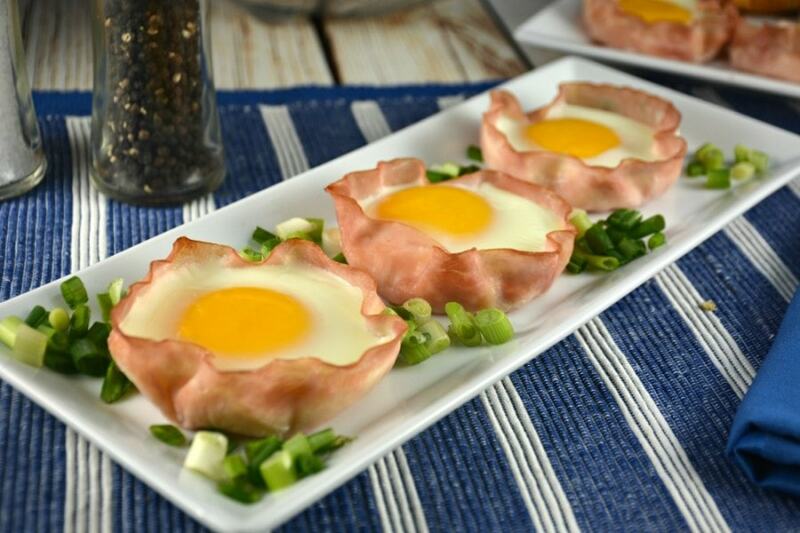 You will have to take yours out when these Easy Ham and Egg Cups are done to your liking! Also, to be honest, I rarely use salt and pepper when making these eggs. The ham has salt in it and I believe the flavor of the ham blends in to each egg. You can sprinkle some pepper on top before making them or afterwards. The decision is always up to you! 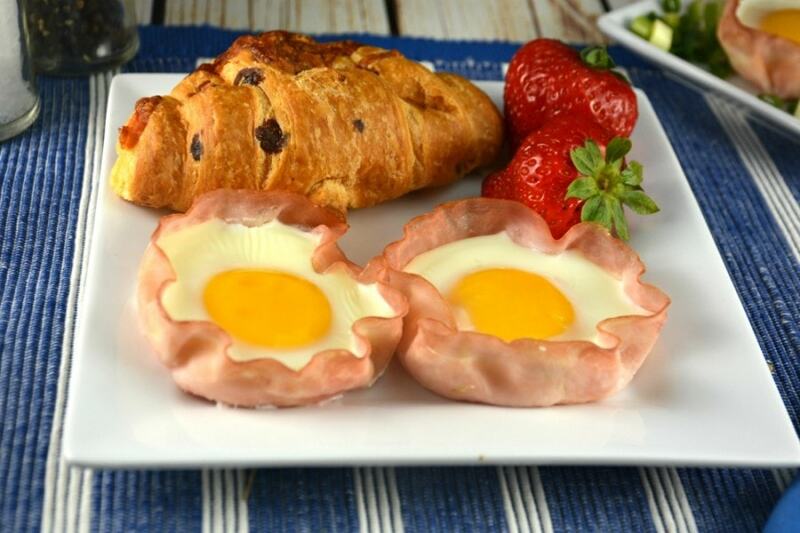 We also make a scrambled or omelet version of these Easy Ham and Egg Cups called Easy Omelet Ham and Egg Cups. With these, you are able to include any vegetable or cooked meat your heart desires! They always turn out beautifully too! We have a video below coming soon for you to have a look at if you have a few seconds! 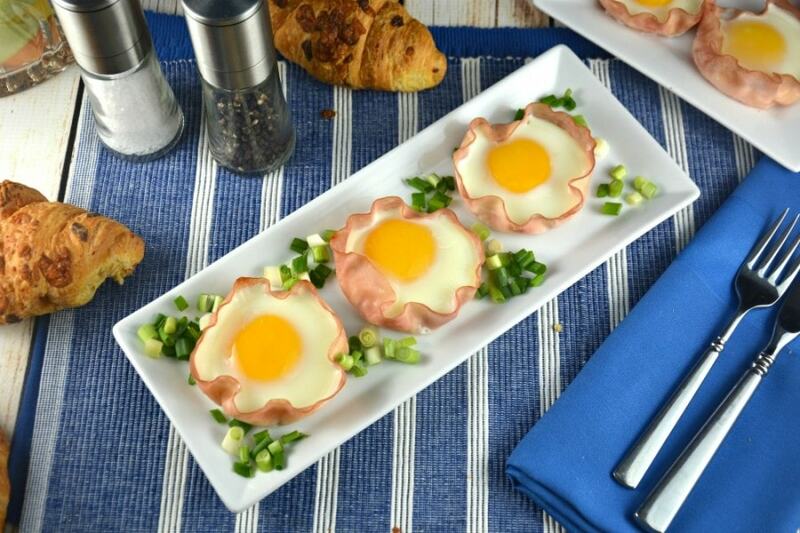 This is our shortest video ever but that is how quick these Easy Ham and Egg Cups are to make. Lightly coat muffin cups with cooking spray. Fit 1 slice of ham into each muffin cup as best you can. The ham will not fit perfectly and some of your egg may run outside the ham into the cup. This is ok.
Bake in middle of your oven until whites are cooked but yolks are as you like, between 12-15 minutes. Sprinkle salt and pepper on each egg before serving if needed. 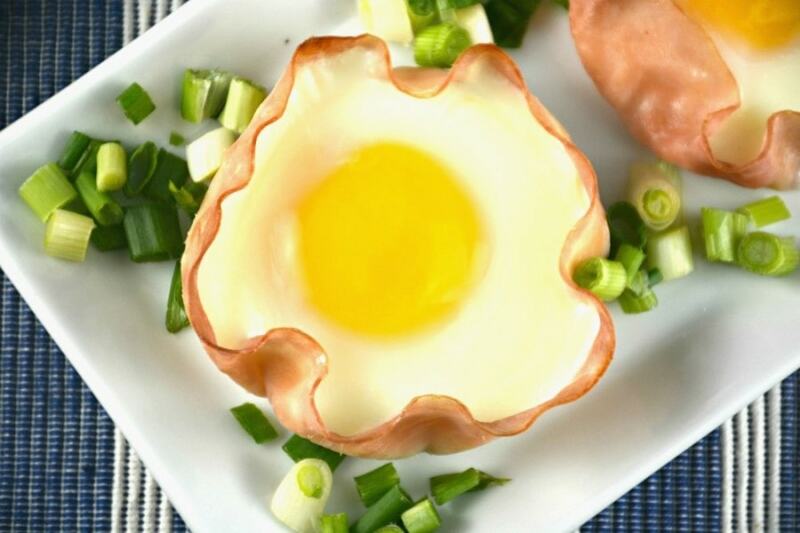 Remove ham and egg cups carefully. Sprinkle with chopped green onions if desired. Serve immediately. Enjoy!